“My family and pretty much everybody I know said run for the Senate,” Grasso said. Of course everybody has been telling Grasso that for at least two years. Even last summer when we wrote about Grasso’s quixotic “campaign” for County Executive his Facebook page had Grasso running for the State Senate. The fact of the matter is that John Grasso is running for the seat that he was most qualified to run for the entire time. However, his out-of-control ego (which was on full display in our interview with him last August 2nd) led him on this bizarre journey that led him to sign-waving across Anne Arundel County, colluding with radical left-wing groups to attack Steve Schuh, and raising absolutely no money to prepare for any campaign for any race. Grasso’s ego led him on this trip and he ultimately proved that his tough talk was nothing more than bluster. 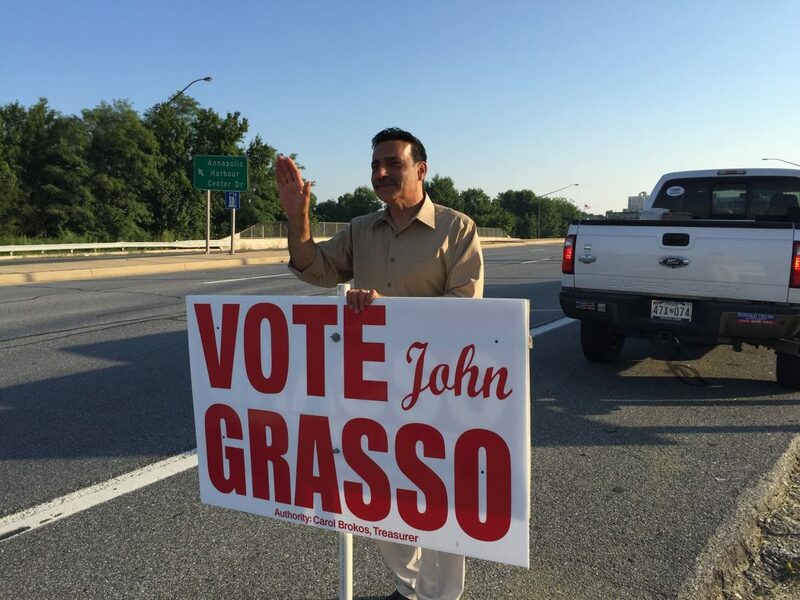 When it was time to file to challenge Steve Schuh, John Grasso showed himself to be little more than a chicken, and with nothing to show for it. Now Grasso has no money, no organization, and a lot of ill-will with the people who are best positioned to help him when an election this year. He isn’t even getting a free-pass in the primary as he is being challenged by newcomer Maureen Bryant.